In a beautiful and deeply nurturing environment, join us in retreat for two pleasurable days, where you’ll be supported in opening to new levels of recognition of who you really are and the power you have to create a fulfilling life that expresses your magnificence. The focus of this retreat is exploring the significance of the spacious, eternal NOW, where all of your creative power exists. You’ll gain a deeper understanding of how your experience of linear time generates limiting beliefs about what’s possible to create in your life, and the kind of fresh, expansive experiences that become available when those beliefs are no longer active. You’ll also be led on a deep dive into the exploration of the true cause or source of all your lived experiences – your consciousness – and how to make inner shifts that yield favorable outer results. As with all of Suzanne’s classes and events, this retreat will help you further cultivate genuine Self Love, which is the foundation for all meaningful and joyful experiences. You’ll have plenty of opportunities to connect with your deepest wisdom and open to expanded levels of Self Awareness. Suzanne is known for helping clients reach new levels of clarity and genuinely embody what was once merely an intellectual concept. The focus is always on supporting your growth and evolution in a truly loving and compassionate way. Through a combination of teaching, guided activities, music, movement and quiet time for personal reflection, meditation and journaling, participants will experience a deepening connection with the Divine Presence within and heightened awareness of how to come into alignment with who they really are. Suzanne’s spiritual retreats are not just about recharging your batteries so you can better cope with your busy life. They are about learning to genuinely love, trust and honor yourself, and allowing a life you love to blossom from your inner core of magnificence. At the bottom of this page are several testimonials from prior retreat participants. Their heartfelt words beautifully reflect the profound experience that was shared by everyone who participated. Please take a moment to read them as you consider whether this retreat is right for you. Friday, March 22nd 6:30 p.m. – 9:00 p.m.
Saturday, March 23rd 10:00 a.m. – 6:00 p.m.
Sunday, March 24th 11:00 a.m. – 2:00 p.m. Meals and lodging are not included in the retreat price, although substantial snacks, tea and water will be provided. Participants in prior retreats often found they could make a light breakfast or lunch with them. The apartment features a full kitchen and participants are free to bring food they can easily heat and prepare for mealtimes. With respect to dinners and lodging, many options are available for hotels, bed & breakfasts and restaurants in all price ranges. Additional information about lodging, meals and what to bring will be provided via email to confirmed participants as we get closer to the event date. Please note: The Boardwalk Plaza Hotel is offering our group substantially discounted rates on available rooms on a first-come, first served basis. If you’re interested in the retreat and think you would like to stay at the hotel where the retreat is being offered, please email Suzanne right away for additional information. Your retreat investment covers Suzanne’s time and energy in planning, preparing for and leading the retreat, as well as the beautiful group space in which we’ll meet. If you feel called to this retreat…give yourself the immense gift of answering that call. Space is limited so reserve early to secure your spot!  And please feel free to email Suzanne at suzanne@suzanneeder.com you have any questions. Register Today - Only one space remain! “The beach retreat was amazing! I’d attended one before and had been awestruck by the depth of ‘knowing’ contained within me. This retreat took me deeper into this ‘knowing’ and allowed me to connect at an ever deeper, and broader, level with my Divine Presence. I was given a glimpse of how perfect our World is and how our presence in this World brings color, texture, and meaning that adds so much value to the landscape of life. Each of us is so uniquely special, and I truly felt that as I walked the boardwalk in communion with my Divine Presence. Suzanne provides the optimal environment to connect with the Divine Presence within. Not only is the retreat space lovely, inviting, and calm, but the meditations, movement activities, and quiet time she selects for the weekend are all centered around giving each participant the opportunity to be truly grounded and deeply connected to each Self. “Beach…Ocean…Spiritual Retreat. When I saw these words in an invitation from Suzanne, I knew I wanted to be there. She masterfully crafted a weekend filled with beautiful sights, sounds and touching discoveries about oneself. You enter in silence on Friday night to an awe-inspiring oceanfront apartment with beautiful music playing which centers, grounds and drains away any lingering stress. After that, you discover that you are surrounded by glorious new Divine Beings who are all there for the same purpose…to safely and comfortably dive in to discover more of who we truly are…to discover our authentic and magnificent selves. This retreat was a vacation for my soul. The discoveries, memories and new friendships that it brought has made this a “must be” annual event. I am blessed, as is this world, to have Suzanne in our lives. She is a beautiful and authentic pioneer.